On June 21st, 2018, after years of deliberation regarding Wall Street and large financial firms throughout the country being held to a certain standard, a standard that every advisor should be to their client, is now DEAD. The courts wrote that “Finding merit in several of these objections, we VACATE the Rule.” Every investor should see what is being done. Wall Street wants to continue doing what they have been doing for years, put their needs in front of the clients’. For advisors acting as a fiduciary, this new ruling by the Department of Labor (DOL) caused very little fuss. Now, step back and think about that. Someone who is always acting in the best interest of their clients is not phased by these new rulings, but Wall Street and large financial firms are appealing every move the DOL makes because they know how much it would change their business. For many years, advisors have been selling products to clients with only their interest in mind and this new ruling would have put a hammer down on those advisors. Wall Street is powerful, we all know this, but to stop a ruling issued by the DOL based on the objection that they are “overreaching to regulate services and providers beyond its authority” is absurd. It’s interesting to me that the DOL even must step in and attempt to create this ruling because Wall Street should have never put their interests before the clients. Kevin Mayeux, CEO for the National Association of Insurance and Financial Advisors says “puts the DOL fiduciary rule to rest once and for all. Advisors can now confidently move forward, helping their clients prepare for retirement without the shadow of the rule looming over them.” Sounds like a valid statement, trying to portray that being a fiduciary wouldn’t allow advisors to help prepare for retirement. Being a fiduciary, by definition, says that retirement advisors act in the best interests of their clients and put their clients’ interests above their own. Why would any ruling change the simple fact that advisors should put their clients’ needs first? Mayeux adds, “does away with restrictions that had placed unnecessary barriers between advisors and their clients and would have made it more difficult for people of moderate or modest means to get help with retirement planning and preparation.” It does not state anywhere that an advisor cannot work with a client of any means. If anything, the fiduciary ruling tells advisors to throw the word “affluent” investor out the door and says to help every client based on their situation, goals and aspirations. Public Sector Investor has been a true fiduciary since day one. We don’t discriminate based on assets, we believe that every investor deserves the right to work towards their goals and receive advice from a true fiduciary. Someone who puts their needs first. 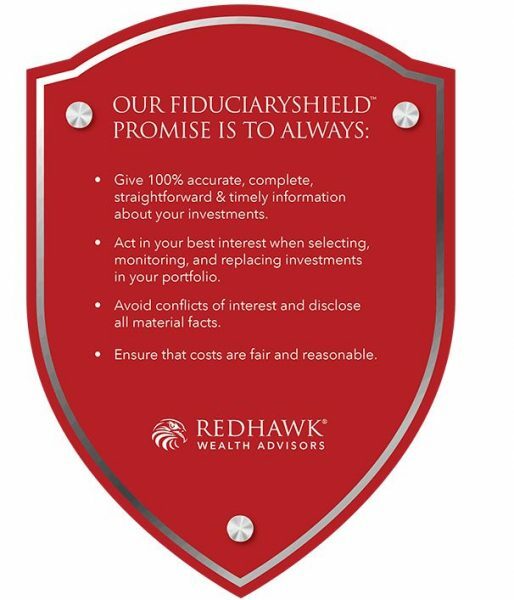 We believe the concept of a fiduciary is so important that we wanted to provide all clients with our FiduciaryShield promise. Give 100% accurate, complete, straightforward and timely information about your investments. Avoid conflicts of interest and disclose all material facts. Ensure that costs are fair and reasonable. Our FiduciaryShield says that Public Sector Investors promises to be a true fiduciary to all our clients, current and future.